In a country with over 2,000 castles and country houses it is amazing how few have as yet been converted into hotels. So far the opening of a Thurn und Taxis house near Prague as Chateau Mcely www.chateaumcely.com has captured a lot of attention, but there are several other options, as well as some privately-owned castles with rooms to let, and many more to beware of . . . 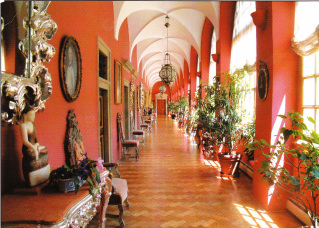 There are at least three well-restored castles available to rent exclusively, for example www.chateauluka.cz. Otherwise several towns like Brno, Znojmo & Litomysl now have very decent town palace hotels. For more details please see forthcoming book. 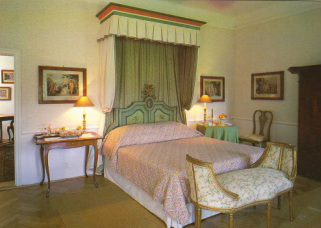 These very beautiful suites of rooms are available exclusively for small groups of friends. Častolovice is one of the most beautifully restored, privately-owned Czech castles. It is perfectly situated for exploring the Eastern part of the country, where there are many private castles and collections, where visits can be arranged, with either picnics or recommendations for local inns, or you can wander around the castle garden, or rent a horse carriage and explore the game park. The ideal is to combine a weekend at Castolovice with interesting visits to Kutna Hora, the great country houses at Kacina and Kuks - en route. Packages start from €500 per couple per weekend for accommodation and a guide/manager, and are based on a minimum of six people for two nights (please contact for more details). Castle Hotels due to open soon . . . There are quite a few in the works, including hotels at the great Skoda palace at Zinkovy, Horin, etc. Meanwhile there are also comfortable country inns to enjoy, many with extremely good local, organic and even slow, food. All to be featured in the book.